Best Egg offers personal loans for borrowers with good credit. The loans can be used for debt consolidation, home improvement and most other expenses. You have good credit and several years of credit history. The minimum required credit score is 640, but Best Egg’s borrowers have an average score of 700. On average, borrowers have seven years of credit history. You have good income. Best Egg says borrowers typically earn an annual salary of $80,000. You want fast funding. More than half of its loans are funded within a day, and funds are deposited directly into your bank account. Minimum credit score: 640; average is 700. Minimum credit history: Not specified, but average is 7 years. Minimum annual income: Not specified, but average is $80,000. Debt-to-income ratio: Not specified, but typically less than 35%. Click "Check rates" to get started with Best Egg. To review Best Egg, NerdWallet collected more than 30 data points from the lender, interviewed company executives and compared the lender with others that seek the same customer or offer a similar personal loan product. Loan terms and fees may vary by state. More than 450,000 customers have been funded with over $6.5 billion in Best Egg loans since 2014, according to the company. Loans range from $2,000 to $35,000. Most borrowers use their loans to fund large expenses or consolidate credit card debt — $15,000 worth on average, says Josh Tonderys, president at Marlette Funding, the parent company of Best Egg. Low rates for good credit: The average borrower gets an annual percentage rate of 15%, but those with better credit can qualify for rates below 10%, Tonderys says. To get Best Egg’s lowest rate of 5.99%, borrowers need a minimum credit score of 700 and minimum income of $100,000, among other requirements. Fast funding: Best Egg’s online application takes minutes to complete, and once it’s approved, funding can be completed in as little as one business day. For borrowers who can get good rates and have the discipline to pay off debt on their own, Best Egg is a good option. But other lenders offer additional support and strategies that may make debt consolidation easier. Payoff, another good-credit lender, gives consumers a tailored plan to pay off credit card debt plus guidance to stay disciplined with payments. 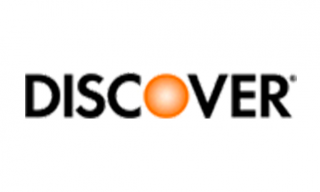 Discover offers borrowers with good credit the option to pay off creditors directly, ensuring that borrowed money goes to debts. Payoff and Discover also give consumers free access to their credit scores. You can fill out an application on Best Egg’s website. After entering some personal information, you’ll be presented with loan options for which you pre-qualify.